As the eyes of the world are focused on the bombing in Gaza and relieving the suffering there, Zakat Foundation of America (ZF) has not forgotten the needs of Palestinians outside the Gaza Strip. 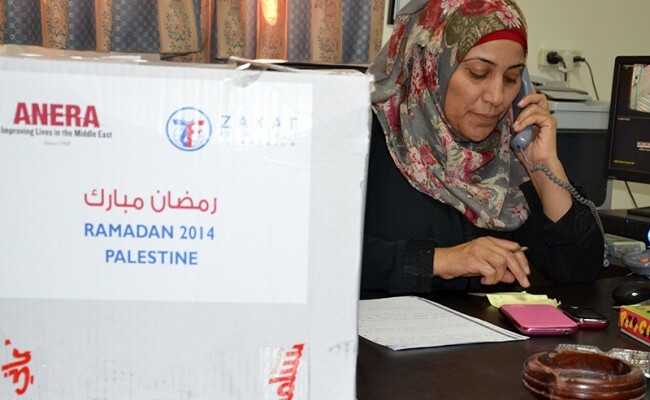 Families in the West Bank villages of Eizariya, Abu Dis and Al Sawahera received Ramadan food packages through a partnership between ZF and a local aid organization. More than one third of the families were headed by female teachers, widows and divorced mothers. Sahar explained that the West Bank barrier has deprived residents of the three villages from access to job opportunities in nearby Jerusalem and has resulted in increased unemployment and poverty. The food packages included 15 high-quality food items including cheese, rice, lentils, the staple grain, freekeh; sugar, beans, tomato sauce, tahini, halva, dates, soup powders and sugar. The supplies were made and purchased locally. The mothers expressed delight over the variety of products and the long expiration dates, which they said was better than perishable food they have received. Sahar was happy with the donation because of the special support for female teachers who work with her and other female heads of households who need help to make ends meet and feed their families. In spite of the risks to their safety, ZF field staff and partner organizations also delivered Ramadan food parcels to families in Gaza who were running low on supplies during the bombings there. 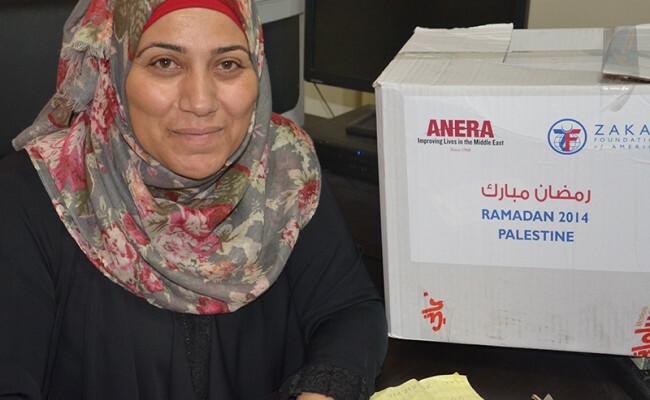 To support the health and well-being of Palestinian brothers and sisters in need, please donate today.